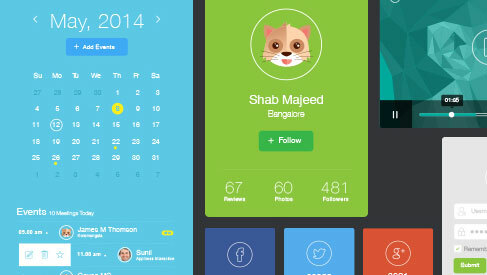 Today’s free design resource Flat UI Design Elements is designed and shared by Shab Majeed. Flat UI Design Elements is a free useful Flat UI Design Elements for the designers that can easily adapt to fit the needs of your design project.The kit comes with plenty of useful element like social profile, calendar, login form, video player and others. This UI kit is free to download, and come in AI format.